In a light weight geometric jacquard and with a flattering neckline, this versatile dress is a must have for your new season's wardrobe. Skimming on your curves with its relaxed lines, it exudes sophistication. 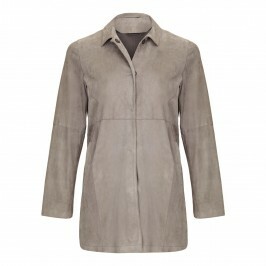 Wear it with the matching coat for a daytime event, or pair it with our grey suede jacket for a relaxed on-trend look. 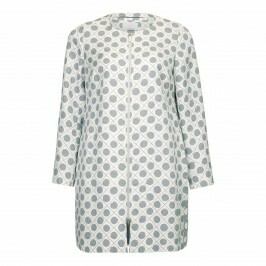 Grey and white shift dress with optional sleeves. Lined. 64% Viscose, 36% Cotton. Lining: 60% Acetate, 40% Cupro. Dry Clean Only.